Pfc. 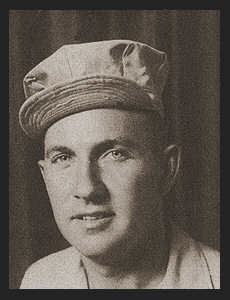 Edward W. Bray, son of Mrs. A. L. Bray, attended school in Frederick, Entered the Army in Aug., 1942, trained in Camp Haan, Long Beach, Cal., Ft. Bliss, Texas, Camp Gruber, Okla.; went overseas in June, 1945; served in the Philippines. Awarded Good Conduct Medal, Bronze Star, Asiatic Pacific Ribbon, and Philippine Lib. Ribbon.